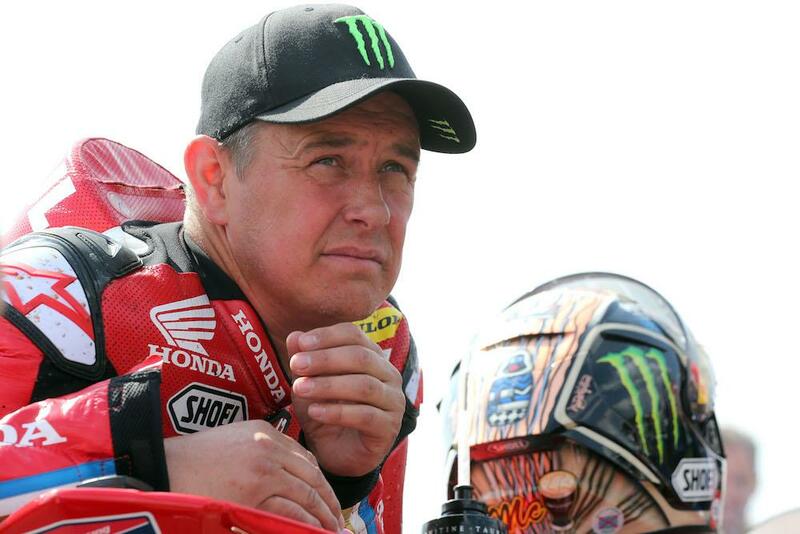 McGuinness suffered a badly broken leg in the fast crash at Primrose Hill in practice for this year’s North West 200, and while Honda confirmed the 23-time TT winner had reported the throttle had stuck, or opened unexpectedly, it’s not until now the team have officially revealed the cause of the crash. “Having extracted and reviewed the data from the ECU on John’s bike, we now know that a setting on the ECU race kit software resulted in the throttle blipping unexpectedly,” team boss Jonny Twelvetrees revealed. “Although at the time there was a long delay in getting the data from John’s bike due to the ECU being damaged – the ECU had to be sent all the way to the supplier in China to extract the data from it - we put in a countermeasure of a new spec of ECU for the TT to ensure the problem wouldn’t happen again. McGuinness broke his right tibia and fibular in the crash and has undergone numerous surgeries since as he continues to recover from the injuries.